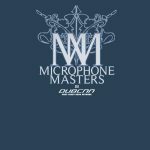 This episode of Microphone Masters Radio Show is jam packed! Congratulations to Starr Saxxxon on the birth of his son! J-Luv and Rich Nix hold things down in his absence. Cartie drops by to talk about his Drive-by mixtape while Pac0naut talks about some of his producer influences and his take on Ice Cube’s Death Certificate album. The Asoka drops by to share his new joint featuring Hittman. And yes, THAT Hittman formerly of Aftermath. What has he been up to and what is on the horizon for him? Pump up the volume for tracks from Balance, Cartie, Recluse, J-Luv, Skyzoo, Scottly ATL and more. Follow your hosts @javonluv, @richnix @isthatblazerock and @starrsaxxxon on Twitter! Got tracks? Send records to to mm@dubcnn.com and check us out on Facebook! Segment 2: Is Imitation the Greatest Form of Flattery?